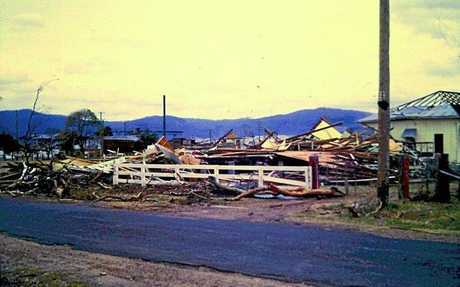 ANNIVERSARY: Killarney was hit by a destructive storm on November 22, 1968. Most buildings were damaged. ON THURSDAY night, it will have been 50 years since Killarney was levelled by a freak storm so powerful it was classed as a tornado. During that evening on November 22, 1968 Killarney State School held its annual speech night and most residents gathered in the Capitol Theatre to see their sons, daughters and grandchildren receive their academic and sporting accolades. As the storm hit about 8pm, the townsfolk braced for impact, holding the theatre doors closed to protect those inside. Killarney and District Historical Society secretary Jeanette Braithwaite said residents opened the theatre doors to the scene of total devastation. "There was rubble everywhere and no electricity," she said. "Most of the buildings in the town's main street had been destroyed, those that were still standing had received significant damage. "All the churches, the show pavilion and most of the buildings along Acacia St were completely flattened. "In the light of day, the town looked like a war zone." 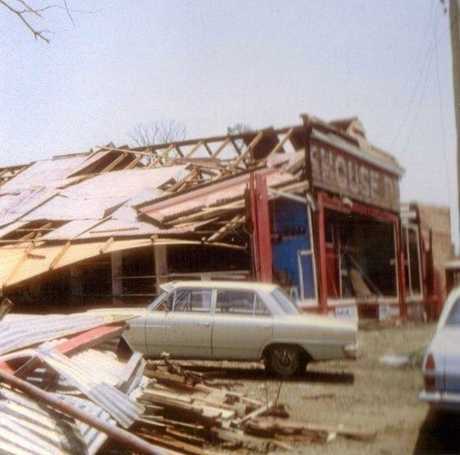 About 200 homes were destroyed during the tornado. The Girl's Brigade was practising Christmas carols in the Presbyterian Church during the storm when a loose brick fell from the celling, hitting Susan Ballard. The 10-year-old girl was the storm's sole fatality. During the aftermath, the community came together to rebuild their town. "The army, electricians, telephone workers and many volunteers came and started the mammoth clean-up. The bowls club became an outlet for food parcels and clothes, all of which had been donated," Mrs Braithwaite said. "The co-op repaired its damage and became a very important source of materials to repair Killarney. "The abattoir also kept going and kept the town afloat. It's said Killarney looked like a war zone after the storm of 1968. 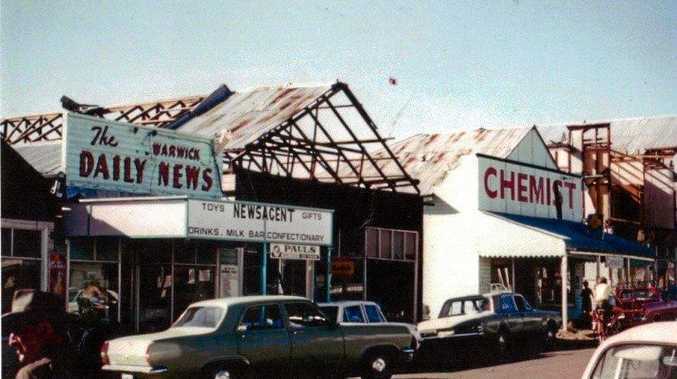 "Many people whose businesses or houses had been completely destroyed left the town to find a future elsewhere, but other families rebuilt their homes and were part of the regrowth of Killarney." The town has since become a tourist hub and Mrs Braithwaite said the natural attractions were a big drawcard. "Our survival and growth is testament to the many people in the community who worked tirelessly to rebuild our little town and the community spirit that continues to this day," she said.